EcoShield Protection is a completely safe and long lasting stain protection and release application formulated with an Anti Allergy. 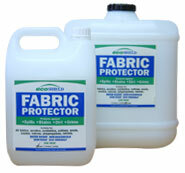 Firstly, EcoShield is designed to protect Fabrics. 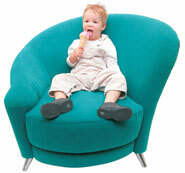 Leathers, Carpets and soft furnishings from stains, grime, dirt and soil build up. Secondly, the Anti Allergy component binds to the treated textile and provides lasting hygiene and controls the growth of bacteria, Mould and Mildew. Control the population of Dust Mites by controlling the growth of their food source. How Does this 2 in 1 Treatment Work? EcoShield is formulated to provide an invisible protective shield, which helps prevent the textile surface from absorbing liquids, dirt and grime. EcoShield reduces the critical surface tension of treated textiles below the surface tension of most liquids. The result  EcoShield treated items tend to repel wetting and soiling. The Anti Allergy component provides a very high level of hygiene with instant and long-term results. Clinical tests prove that our Anti Allergy kills and controls a range of microorganisms. Many microorganisms can trigger allergic reactions including Asthma, Hay Fever, Sinus and Eczema. Dust Mites, members of the spider family, live in soft furnishings and textiles. They feed on human and animal skin flakes and the associated Mould and Fungi. 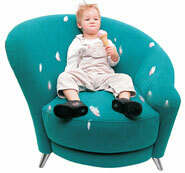 Our Anti Allergy works to keep your soft furnishings healthier and freer from microorganisms. EcoShield is water based, non toxic and, when correctly applied, will not change the colour or feel of the treated item. EcoShield is classified as NON HAZARDOUS according to the National Occupational Health & Safety Commission (NOHSC). 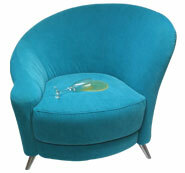 EcoShield can be applied to most new or pre-cleaned Fabrics, Leathers, Carpets, Textiles, and Furnishings. EcoShield helps repel oils, water, stains, dirt & grime by coating the fibre and changing its surface tension. EcoShield is Australian Made and Australian Owned with growing international exports. The ultimate protection for your furniture, EcoShield Gold Warranty includes the professional application of EcoShield combined with Gold Warranty. For a period of 5 years. There is no excess for claims, but subject to the terms and conditions of the EcoShield Gold Warranty, Safegard Protective Treatments Pty Ltd ABN 54066831936 (warranty underwriters) will repair or replace the damaged area of furniture up to the value of $3000.00. Please ask your retailer to view a copy of the warranty or go to www.ccproducts.com.au for terms and conditions. Please note that the EcoShield Gold Warranty covers accidental damage for upholstery/ textile cover only and should not be construed as a cleaning or service contract.